New Zealands flora is unique, with 80% being endemic, meaning it is found nowhere else in the world. From the tiny mosses and fungi, to the towering kauri tree and iconic pohutakawa, the vegetation is as diverse as the habitats in which they are found. 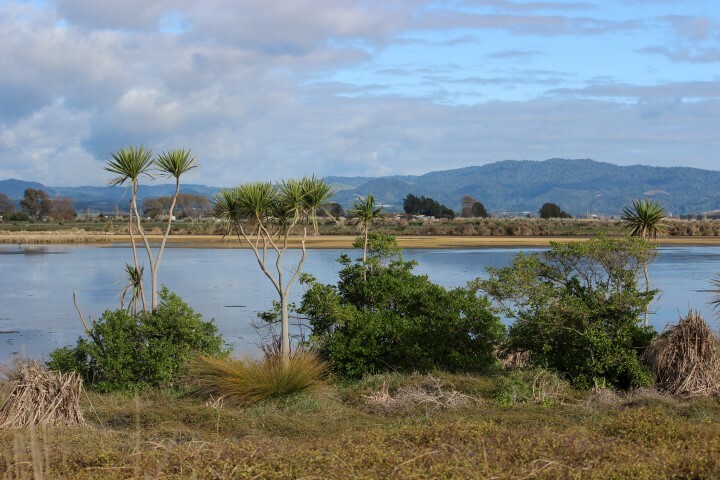 As New Zealand has been a separate island for millions of years, species here are under threat from invasive flora such as gorse, blackberry, and convolvulus. Native plants are not equipped to compete against species such as these, and can easily become overrun. For instance, our native toi toi is out-competed by the South American equivalent, pampas. Without extensive weed control many of our native plant species would become extinct. The dominant vegetation on the fore dunes is the native grasses spinifex (Spinifex sericeus), pingao (Ficinia spiralis) and sand tussock (Austrofestuca littoralis). These fore dune plants are well adapted to the dynamic environment, tolerating high temperatures, low moisture conditions, salt spray and burial by sand. These species are in good condition on Maketu Spit, Newdicks beach, and Dotterel Point as we have planted a large number, and use fencing to prevent people walking or driving over them, but invasive pest plant species and rabbits are always a threat. The back dune is dominated by wiwi (Juncus pallidus), and pohuehue (Muhlenbeckia complexa) which provides perfect habitat for shore skinks. As well as these species, we also plant toi toi, coprosma, five-finger, and cabbage trees among others. We often use weed matting and covers, as well as weed control to give the young plants a chance to get going, and then, as they grow bigger, they begin to shade out many of the invasive weeds.